The 2017 Dallas Invitational/President’s Cup got underway on the weekend of November 18-19, 2017 in Irving, Texas. The Irving Convention Center was the venue for this event. David Burke took on the coaching duties for Team WHITE DRAGON. 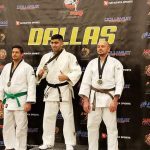 Team White Dragon displayed two of the most talented brown belts in the dojo. Jay Baker has made steady development in his judo journey. Jay took a break from competition after the 2017 Senior Nationals to focus on his education. 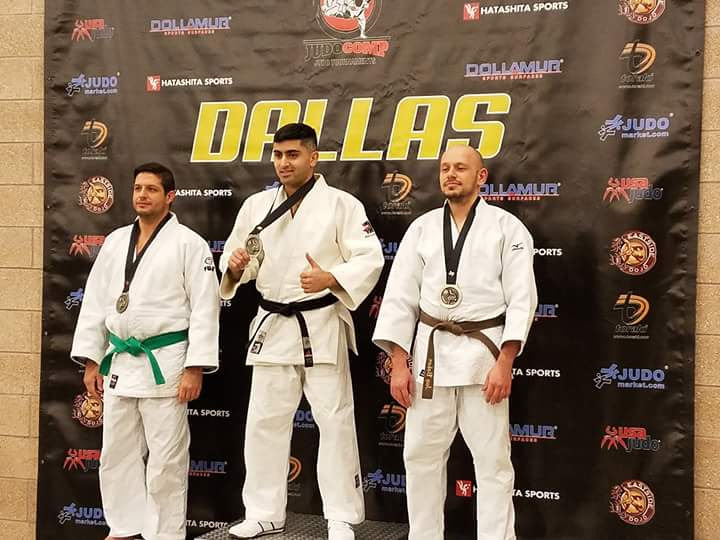 Jay showed no signs of mat rust scoring a silver medal in the veteran’s middleweight category at the Dallas Invitational. Phillip Vojta rebounded from a tough Dallas Invitational to win GOLD at the President’s Cup. Vojta got off to a tremendous start with a beautiful uchimata in his first match. He vaulted himself into the semifinal with a win by osaekomi. The gold medal match featured an awesome double sleeve osotogari for ippon. This was Vojta’s third consecutive gold medal. It is more than safe to say that Phillip Vojta is having a breakout year. 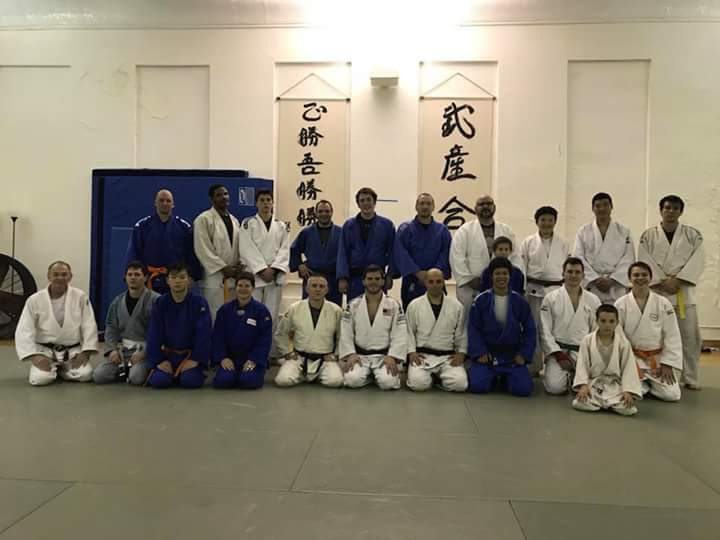 Members of White Dragon Judo Club were in attendance at the Nick Delpopolo Clinic from November 3-5, 2017 at the Kokushi Midwest Judo Club in Urbana, Illinois and Tohkon Judo Academy in Chicago, Illinois. Nick Delpopolo is a two time Judo Olympian from Westfield, New Jersey. The clinic, ran by Grace Talusan, had junior and senior sessions. Both sessions consists of games and warm ups exercises that focused on the judokas coordination, balance and athleticism. Delpopolo demonstrated his favorite techniques like tai otoshi, uchimata, yoko tomonage, sasae tsuri komi ashi, osoto gari and “the BEAR” turnover. He had a Q&A session which consist of questions about kumi kata strategy, training regimen, motivation, and diet. 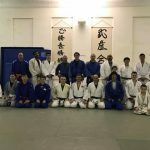 Of course, there was a tachi-waza randori session. Delpopolo gave a few pointers to a number of judokas during this portion of the session. It was a great weekend supporting Nick Delpopolo in his journey to the 2020 Olympics. Photo courtesy of Grace Talusan.